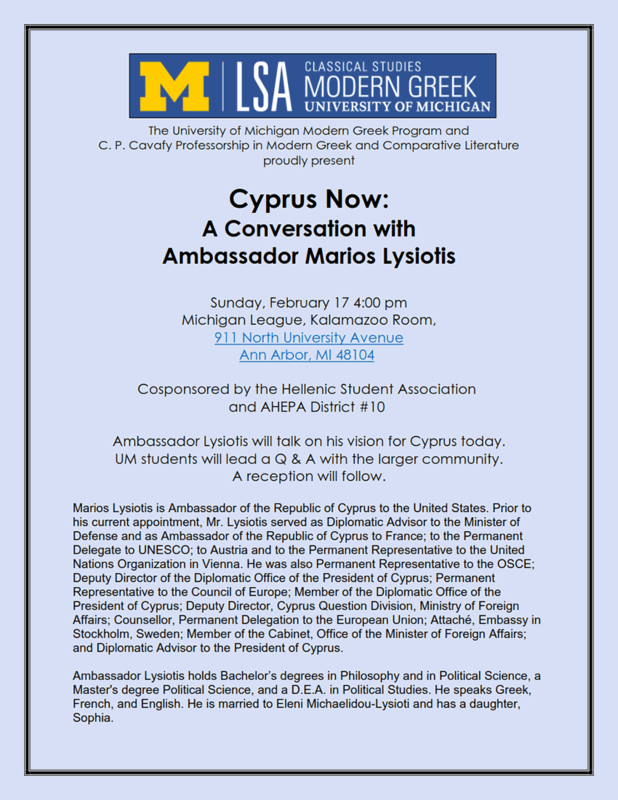 Ambassador Lysiotis will talk on his vision for Cyprus today. UofM students will lead a Q & A with the larger community. This is a rare opportunity to listen to the visiting Ambassador of Cyprus the latest about Cyprus. Seating is limited and the event has open seating (on a first come first serve basis). Plan at least 30 minutes to park. There are two parking structures (Fletcher Street & Thayer) and limited parking on the streets.